World Premiere Asks: Are You A Victim? 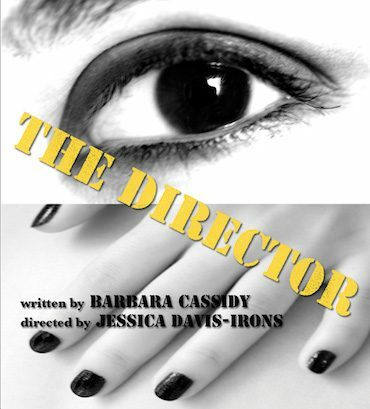 The Flea Theater presents the World premiere of The Director, a new drama by Barbara Cassidy, beginning February 21st. It will be directed by Jessica Davis-Irons. Opening night is slated for March 1st. One woman who was taken advantage of by The Director begins a journey to regain her sense of self by interviewing other victims. “I had met a guy a while back who was really into pursuing women, a lot of women. He was a film director,” she explains. “He would go up to chicks on the street, telling them he was interested in them, that they just had something about them, and that he was making such and such a film, and he would like to talk to them about working in his film. This is the way I met him. It almost sounds too cliche even to believe right?” Have you met The Director? The production will feature The Bats, the resident acting company of The Flea. The design team includes sets by Neil Wilkinson, lights by Peter Ksander, costumes by Chloe Chapin and sound by Jill BC DuBoff. Barbara Cassidy received her MFA in playwriting from Brooklyn College where she studied with Mac Wellman. Her play Interim was nominated for the Barrie Stavis Award by Playwrights’ Horizons in 2003, and is published in the anthology New Downtown Now. Her work has been seen at Little Theatre at Tonic, FringeNYC and BRIC Studios. Jessica Davis-Irons is the Artistic Director of Andhow! Theater Company where she has directed over 50 productions including, Angel Mountain by John-Richard Thompson, Cascadia by Neal Wilkinson, Little Sucker by Andrew Irons, and Elephant by Margie Stokley. She was the Associate Artistic Director of Adobe Theatre Company where she directed Superpowers by Jeremy Dobrish. She has directed at 78th Street Theater Lab, Peculiar Works Project, New Georges (where she is an affiliated artist) and Blue Heron Arts Center amongst many others. She also served as the Artistic Associate at Adirondack Theater Festival for two seasons. The Director runs February 21 – March 31, performance schedule varies.